Features include: Garmin GTN 750/650 Touchscreen Controllers, Flight Stream 510 Wireless Connectivity, Avidyne DFC90 Digital Autopilot, CIES Digital Fuel Gauges, LED Lighting. This plane was recently upgraded and totally repainted in April 2017! 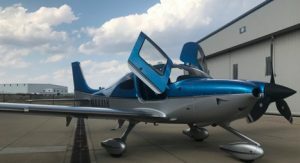 Transition Training is included in the purchase of this aircraft through Cirrus Embark Program. To inquire about this aircraft, click here or call Mark Egan at 612-321-6489. This aircraft has had just one owner since new and has always been hangared. Transition Training is included in the purchase of this aircraft through Cirrus Embark Program. 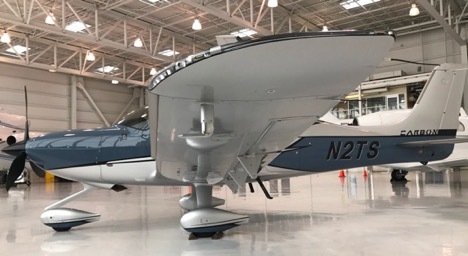 To inquire about this aircraft, click here or call Daniel Christman at 404-308-8638. This always-hangared airplane has no damage history on record. Transition Training is included in the purchase of this aircraft through Cirrus Embark Program. This aircraft was always stored in a hangar, and logs are available upon request. Wheel pants are also included in the purchase.